Simply expose Glow Bear to light during the day, and he will glow all night to keep children secure. 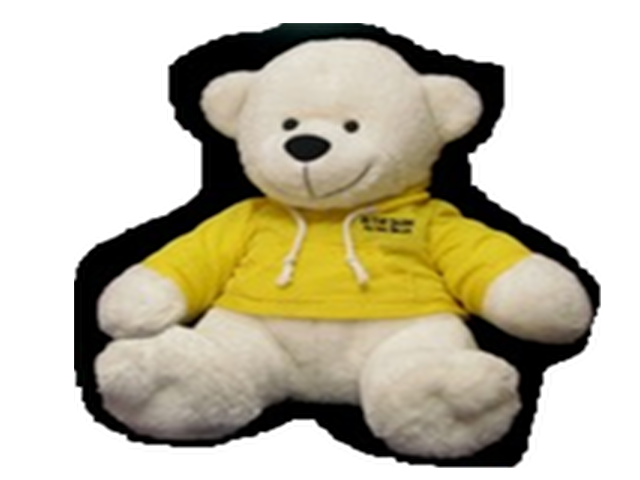 Glow Bear is bleachable, washable, hypoallergenic and requires no batteries. You can use any flashlight to draw shapes & designs or write a special message on the fur & watch it glow all night! Perfect for drawing or writing a secret message! Simply charge the Glow Bear with exposure to light, & Glow Bear will glow all night to keep kids secure at night! The built-in glowing technology requires no batteries. Buy The Glow Bear Now! Thanks for supporting Children's Blessings.